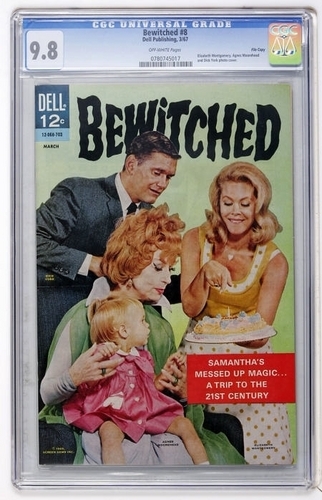 Bewitched Comic Book #8. I bought the same comic from an ebay seller for only $17.50 which completed my Bewitched comic books collection; this particular one was selling for $380 this week. Dell only made 14 issues in the 1960s.. Wallpaper and background images in the Bewitched club tagged: bewitched comic books collectables.